Born 5 December 1927 in Butere, Kakamega County. He was the 9th Vice President of Kenya from 25 September 2003 to 9 January 2008. Uncle Moody is a marriage counselor, businessman and a philanthropist. He attended Mangu High School in 1935 and later Kakamega High School before leaving for Makerere University in Uganda. In 1983, he was for the first time elected as a Member of Parliament of Funyula Constituency. 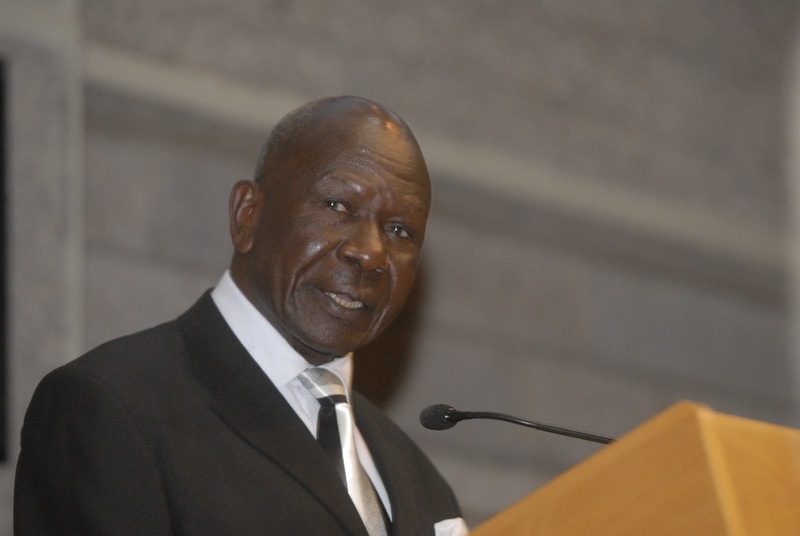 Under President Moi’s regime, he served in several positions as assistant minister. In 2002, he joined the National Rainbow Coalition (NARC) and went along to be appointed Minister of Home Affairs in 2003 in President Mwai Kibaki’s government. He became the Vice President after the death of the 8th Vice President of Kenya, Michael Kijana Wamalwa in London. In the December 2007 general elections, he lost the Funyula parliamentary seat to Dr. Otuoma and left active politics. He had served for 25 years being the longest serving MP from Western Kenya. Hon. Kalonzo Musyoka succeeded him as the 10th Vice President of Kenya. His family that of an Anglican Clergyman has been a big contributor in the political scene, with his elder brother W.W.W Awori being in the Legislative Council (LegCo) in the 50’s. While the younger one, Aggrey Awori a Ugandan politician who contested in the 2001 Uganda elections and came third. He is also a brother to Mary Okelo, the first woman in East Africa to head a Barclays Bank, founder of the Kenya Women Finance Trust (KWFT) and Makini chain of schools. In 2006, John Githongo implicated him in the Anglo Leasing scandal in a report released to the public. As the Minister of Home Affairs, he will be remembered for his introduction of reforms in the prison facilities in the country and rehabilitation of street children. As a business tycoon, Moody is one of the richest people in Kenya with interests in many sectors of the economy such as the Mareba Enterprises Ltd and Mocian Ltd. He is the founder chairman of the Association for the Physically Disabled of Kenya, a position he held for the last 42 years. He also set up the Kenya office of international charity Christian Children’s Fund, in which donors in the US and Canada sponsor needy children in Kenya. He is also the Safaricom Foundation Goodwill Ambassador.